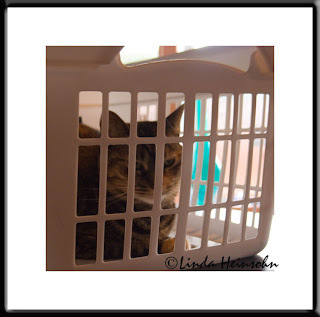 My tabby, Malibu, feeling safe in the laundry basket. She's a tricky one to catch! Most shots I take of her are blurred--like this one.